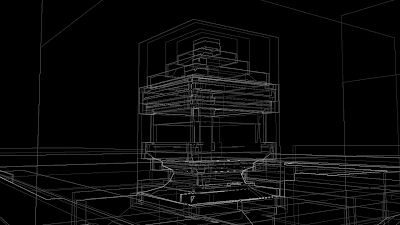 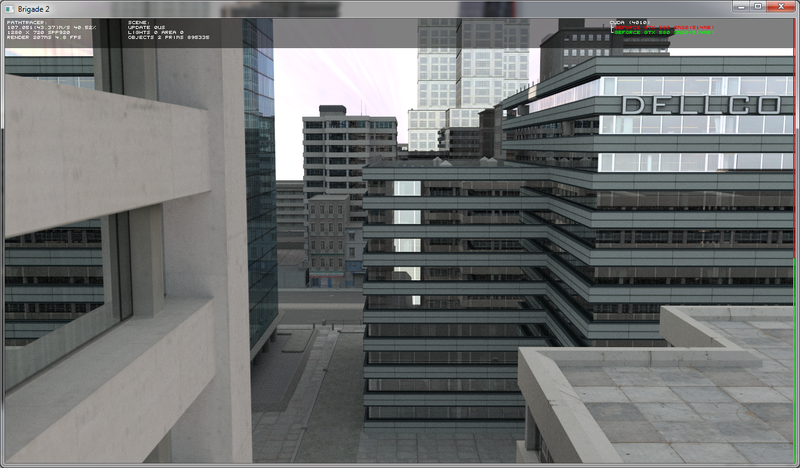 I've just received some jaw-dropping Matrix-like debug screenshots from Brigade developer Jeroen van Schijndel, showing a glimpse of an in-development ultra-efficient BVH acceleration structure. 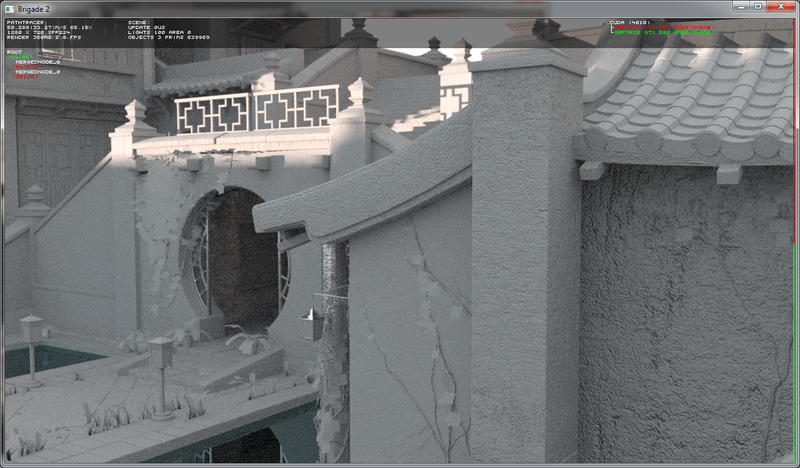 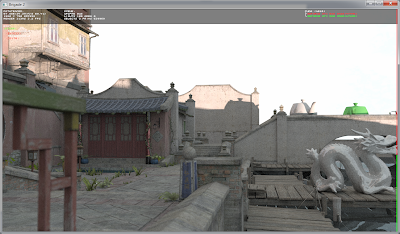 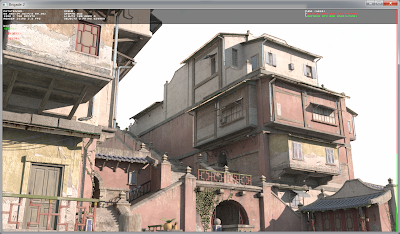 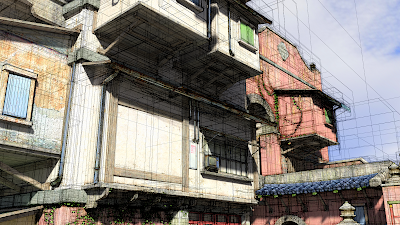 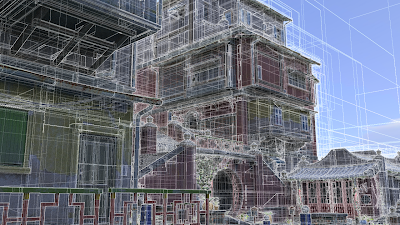 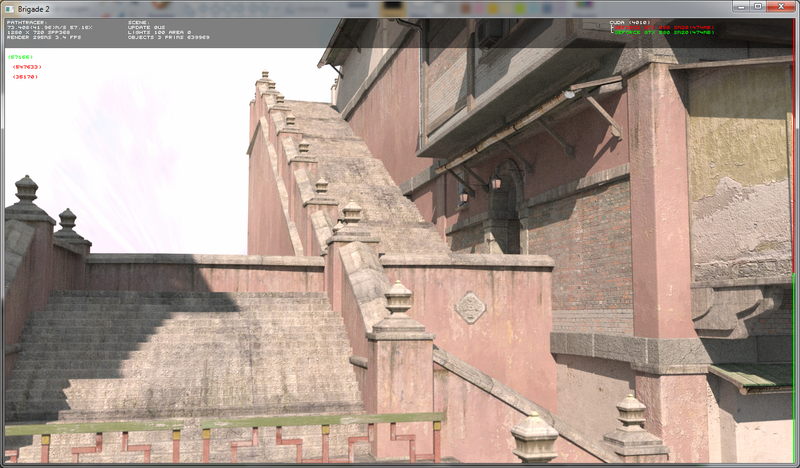 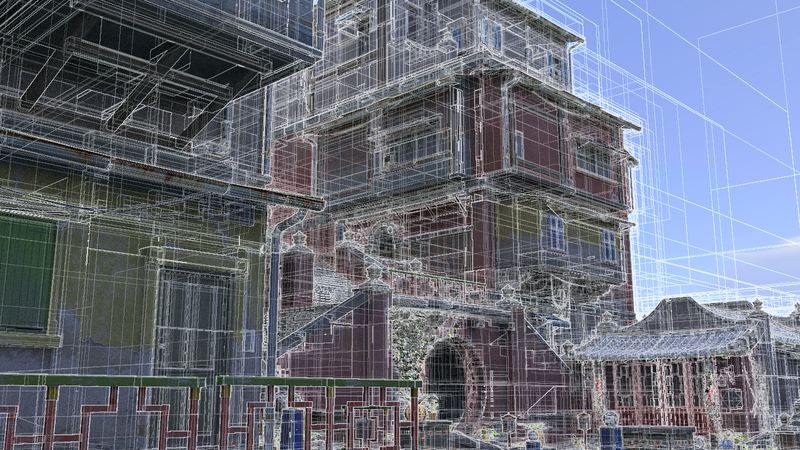 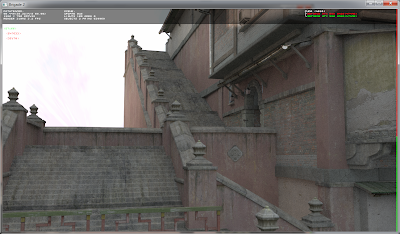 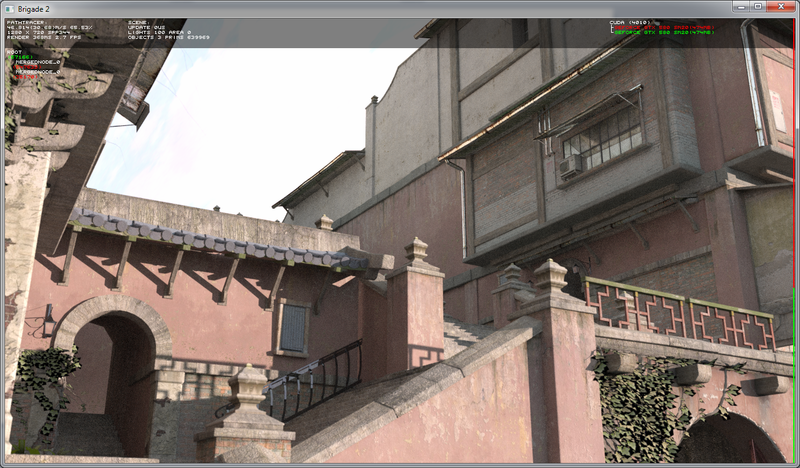 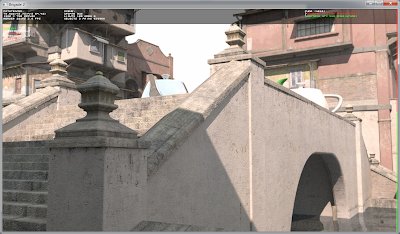 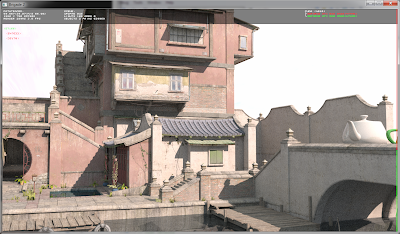 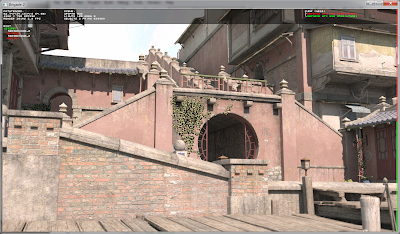 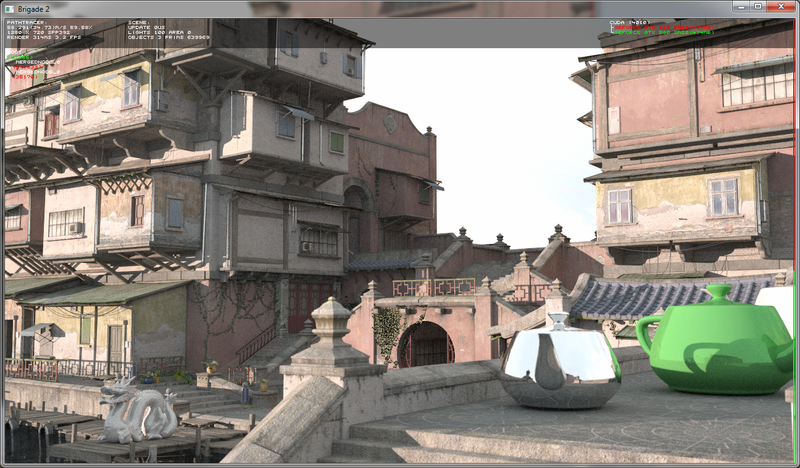 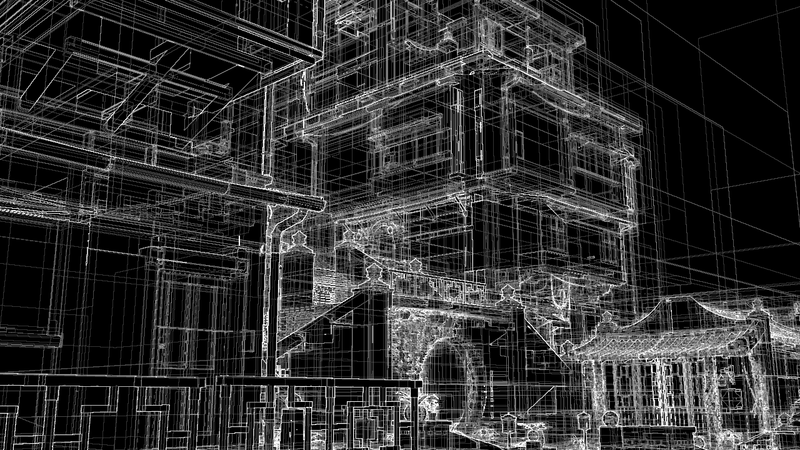 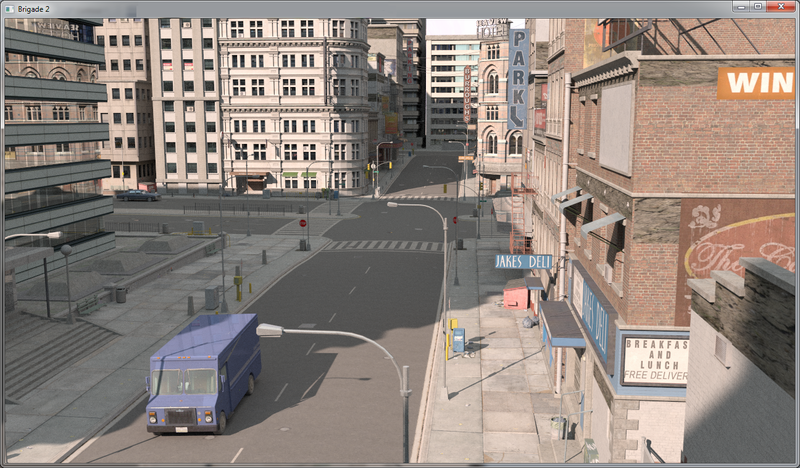 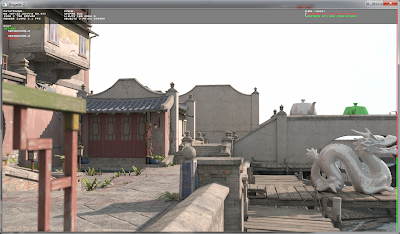 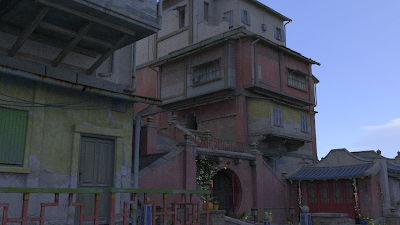 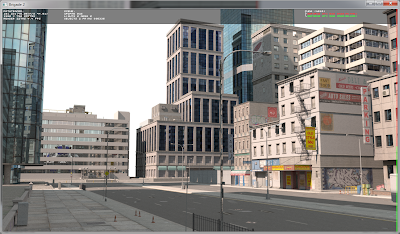 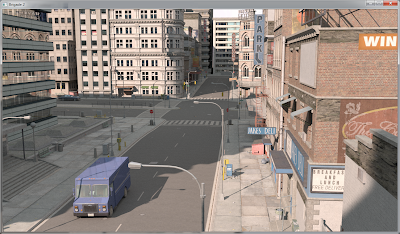 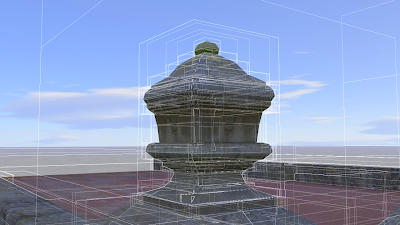 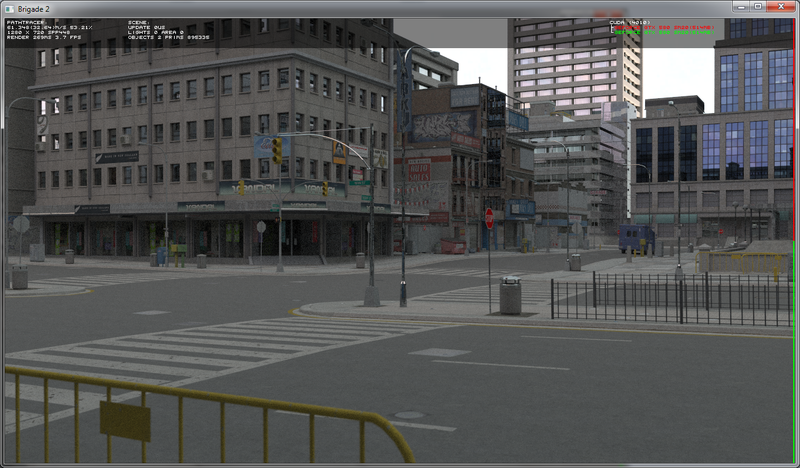 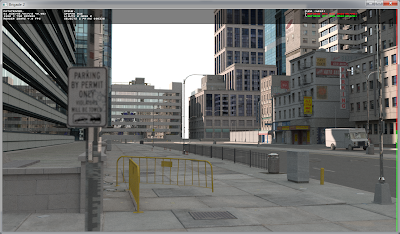 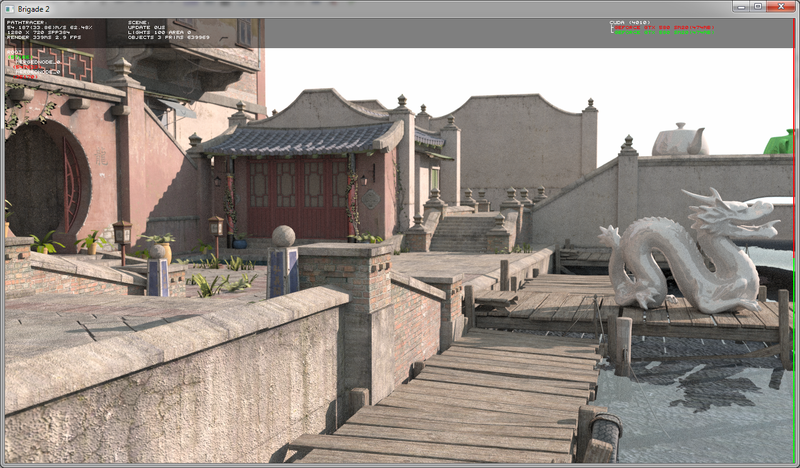 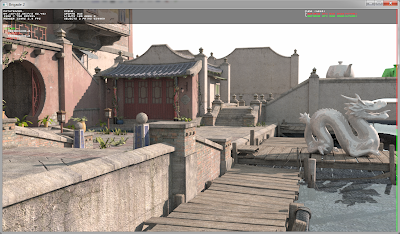 The screenshots visualize the bounding volumes (nested axis-aligned bounding boxes against which rays are tested before they are tested for intersection with the primitives that are contained in these AABBs) in the "Streets of Asia" scene that was shown in previous posts. 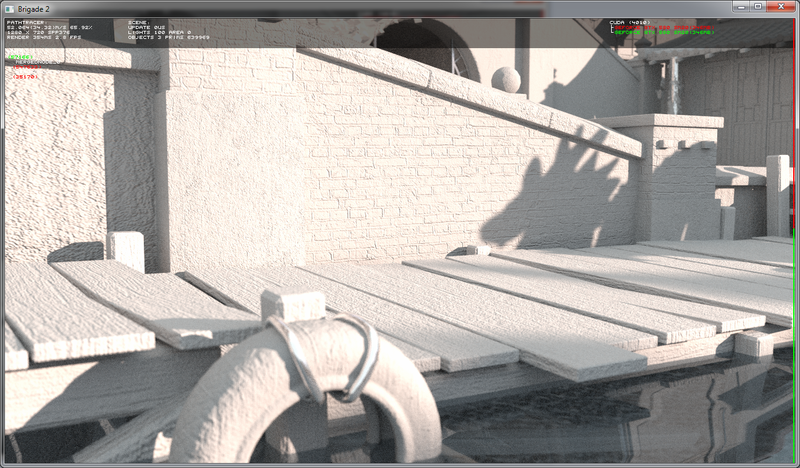 Brigade also gained a dazzling 30% increase in performance yesterday. 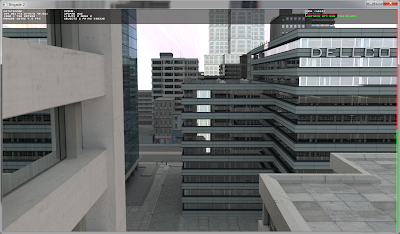 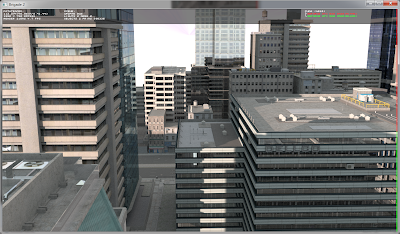 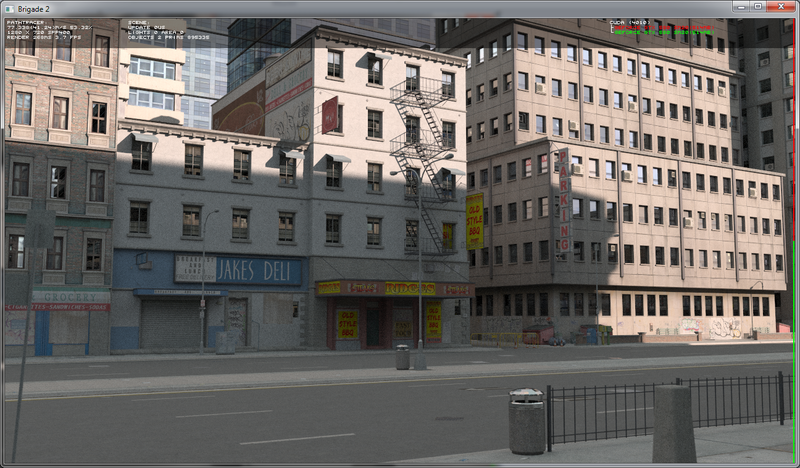 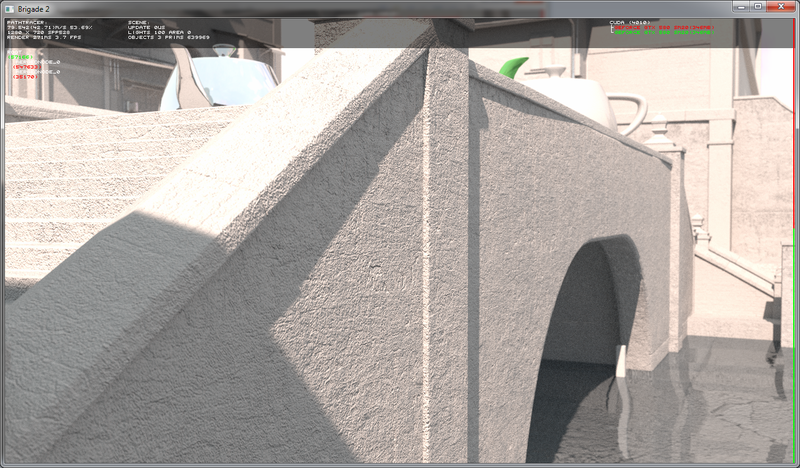 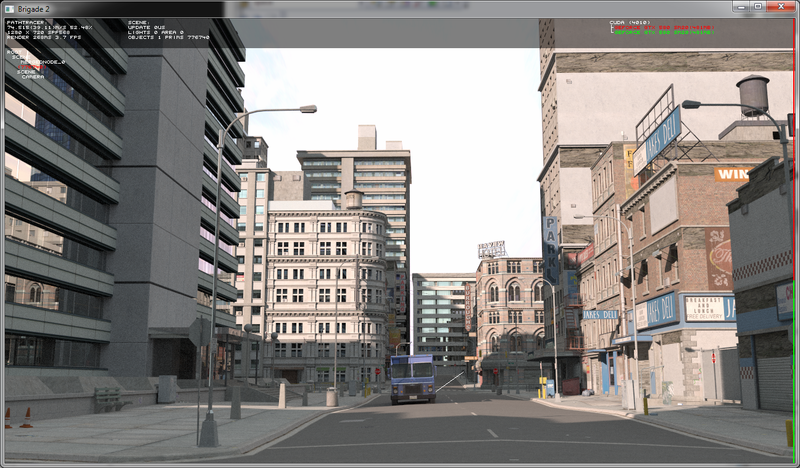 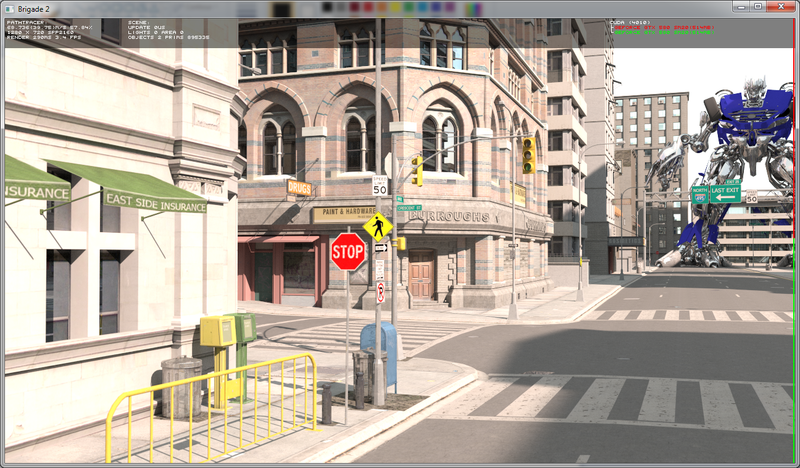 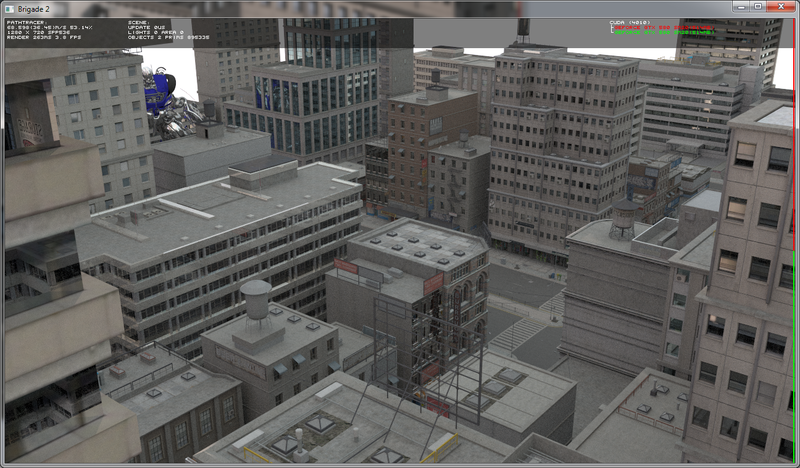 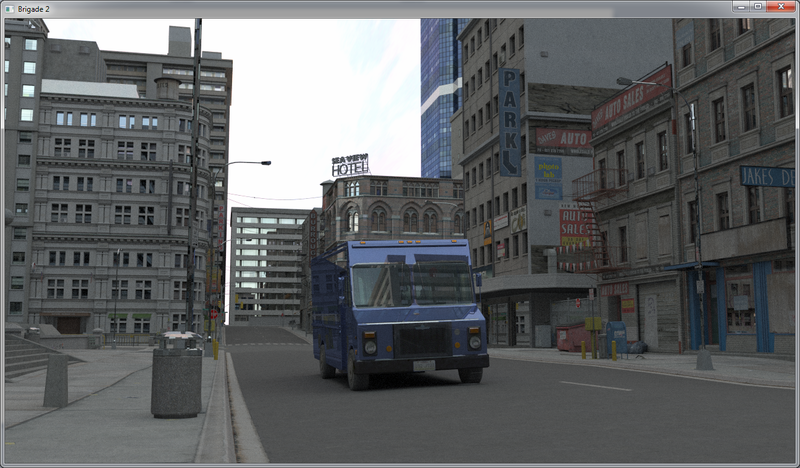 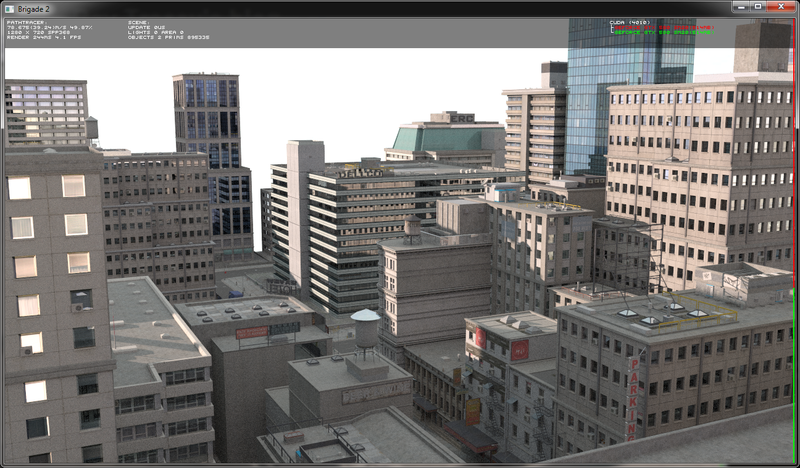 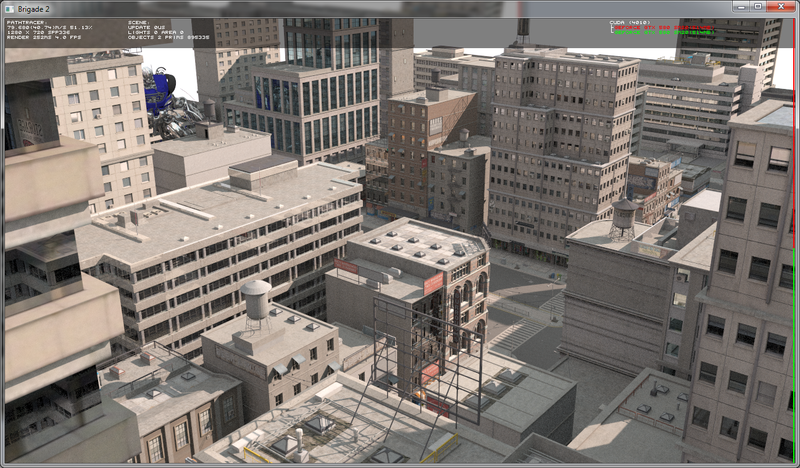 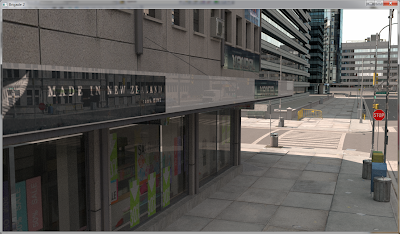 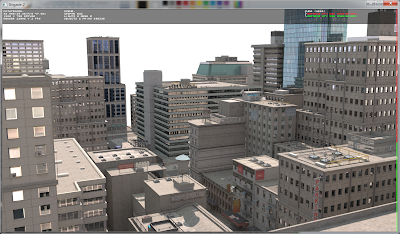 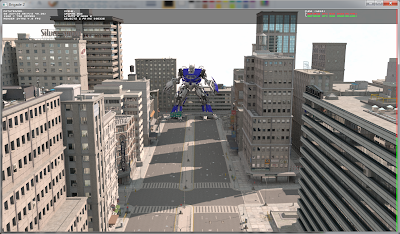 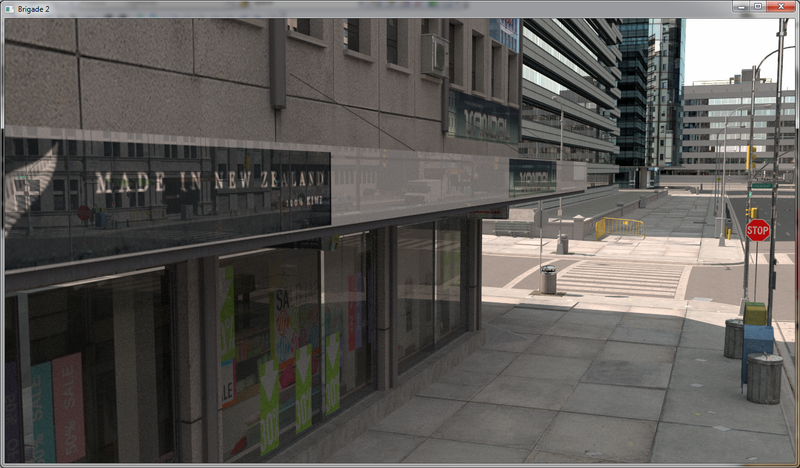 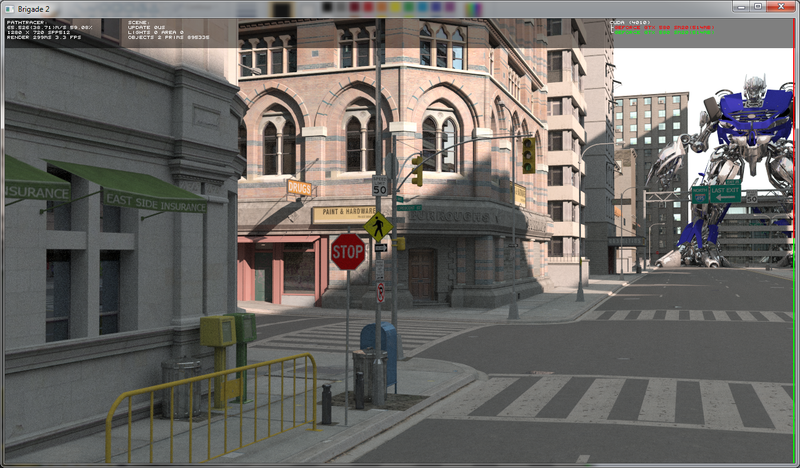 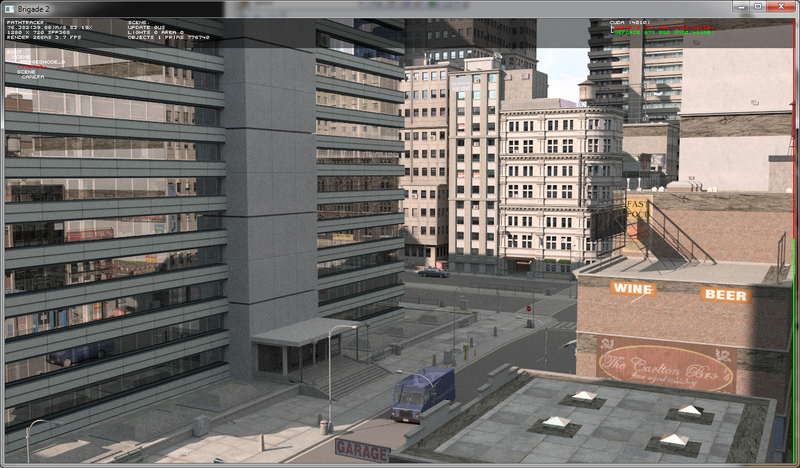 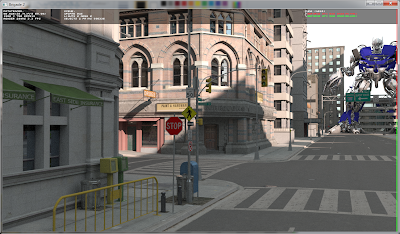 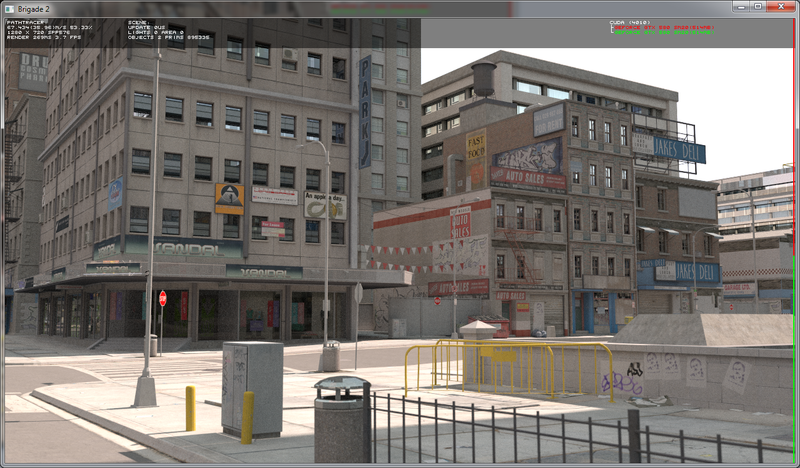 Urban Sprawl 2 from Stonemason is a very detailed 3d city model, so it was a no-brainer to test this scene with Brigade. 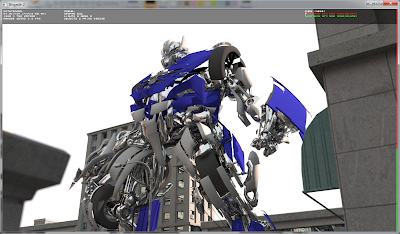 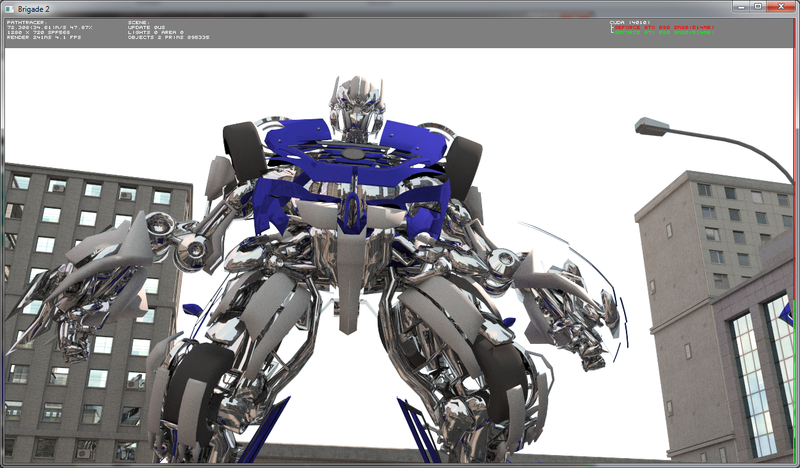 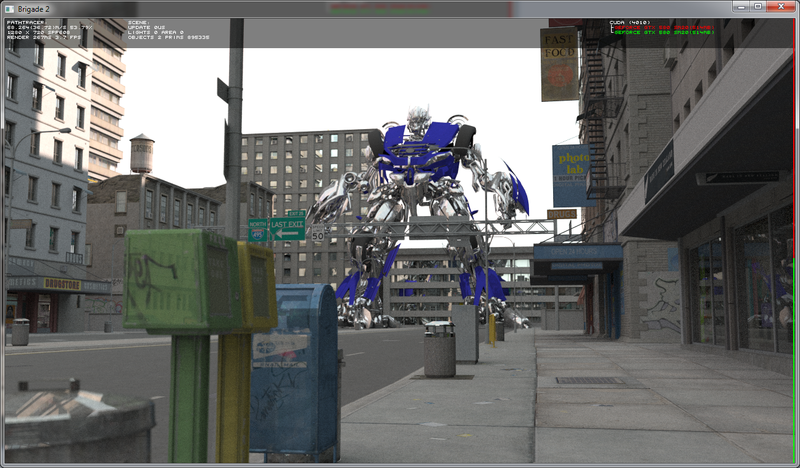 Since the scene rendered much more smoothly than expected, I also threw in a high poly Transformer model to make it a bit more challenging (the materials on the Transformer model still need some tweaking). Surprisingly, Brigade doesn't break a sweat. 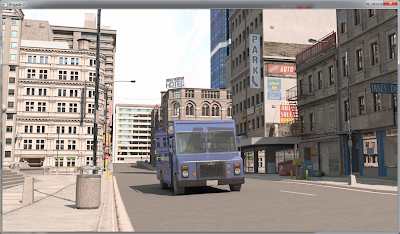 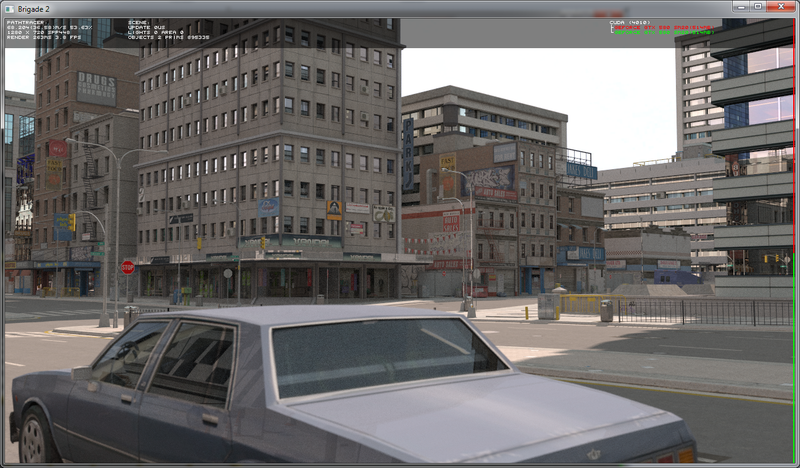 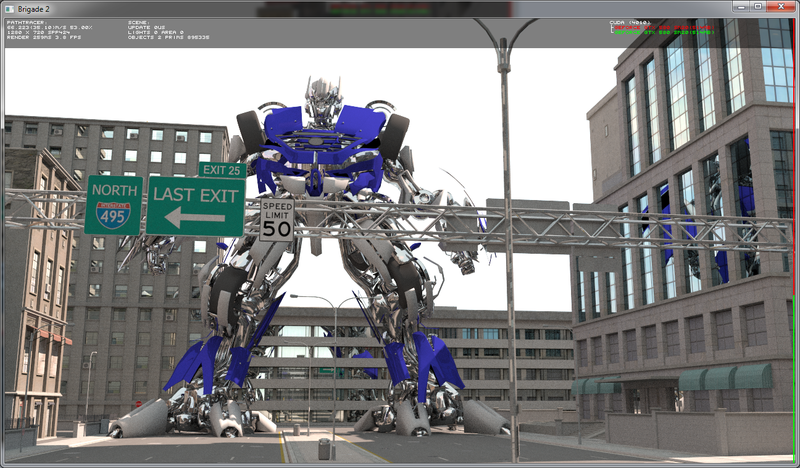 All the eye candy inherent to path tracing is present: glossy and specular reflection, refraction, global illumination with diffuse color bleeding, ambient occlusion (under the cars) and depth of field. With Brigade performing so great, there's a lot of headroom left for dynamic objects like cars and animated characters (which will be shown in another post). 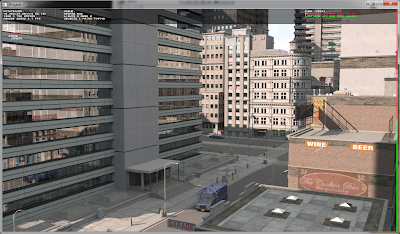 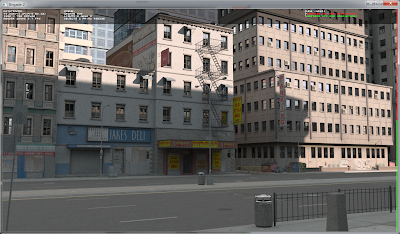 For example, a photorealistic GTA or real-time photorealistic urban planning with dynamic day-night cycle are some of the possibilities. 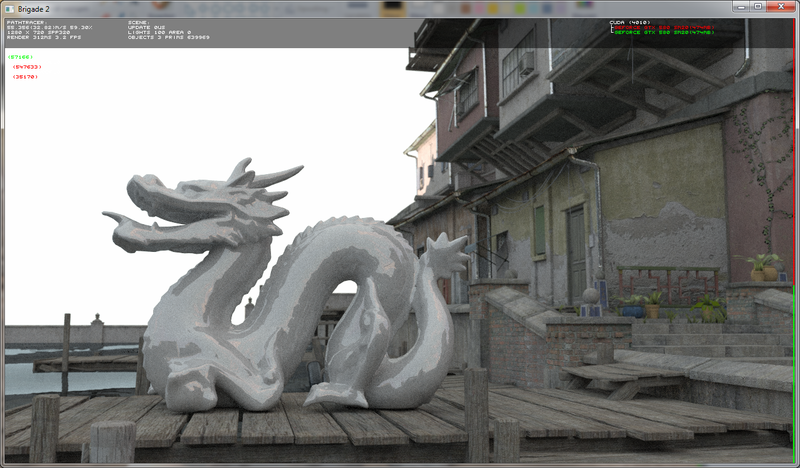 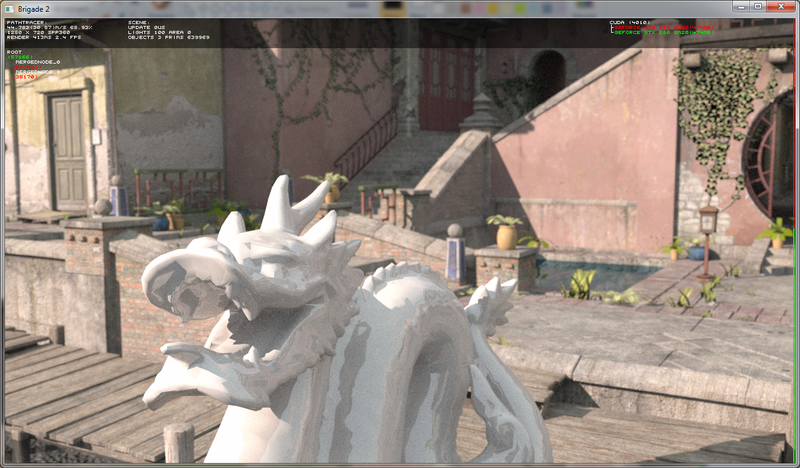 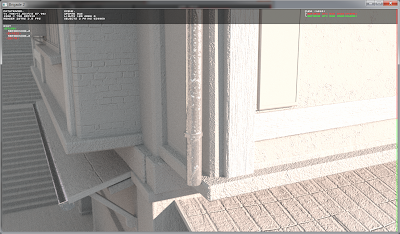 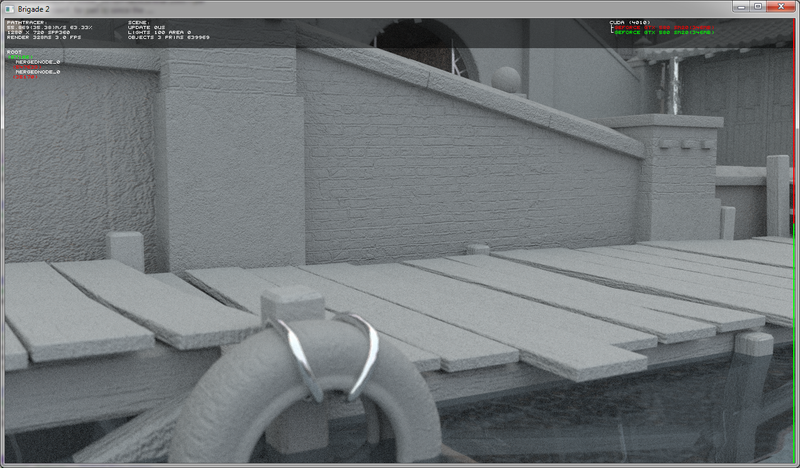 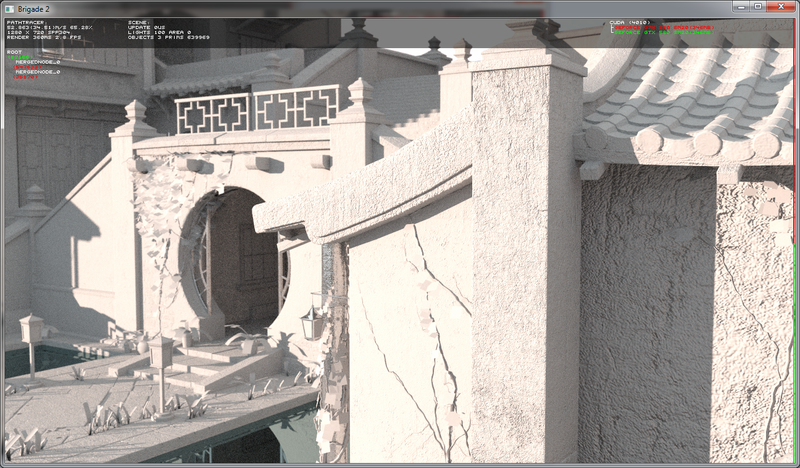 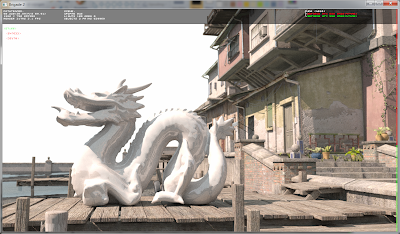 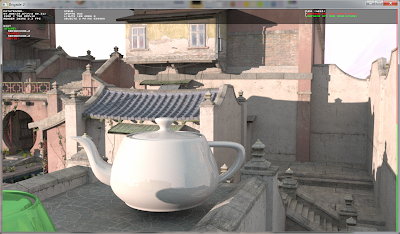 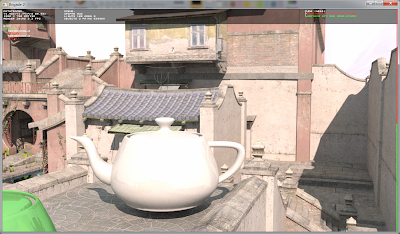 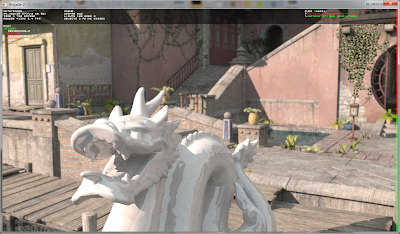 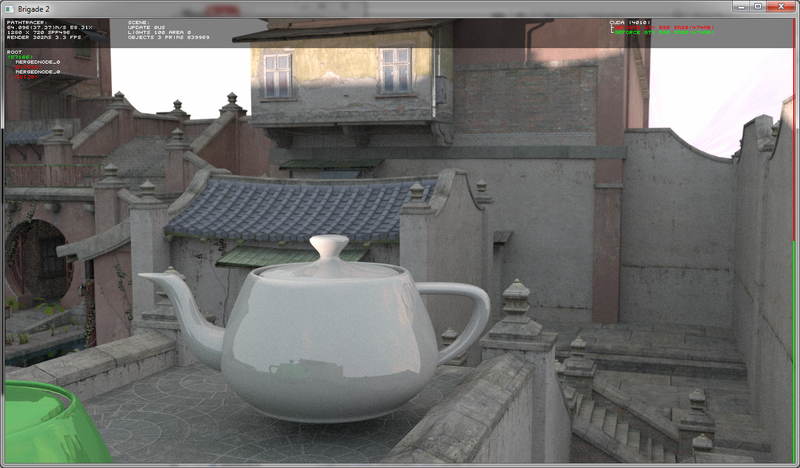 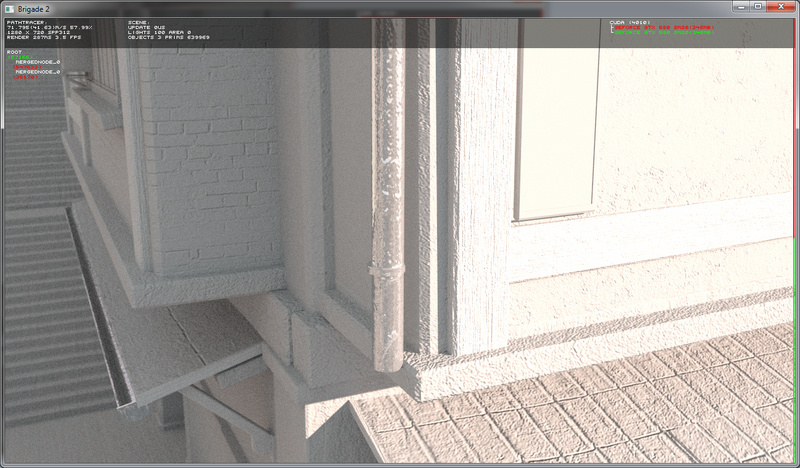 Just stumbled upon a very interesting paper by the author of the Voxelium blog, whose impressive research on hybrid voxel/triangle ray tracing I've blogged about in the past (see http://raytracey.blogspot.com/2012/01/voxlod-interactive-ray-tracing-of.html and http://raytracey.blogspot.com/2010/09/voxlod-interactive-ray-tracing-of.html). This guy has invented a new algorithm for tracing incoherent rays that doesn't need an acceleration structure at all, which means no time consuming updates or rebuilds of the acceleration structure. 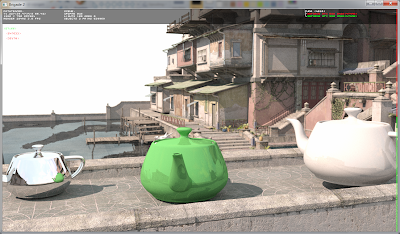 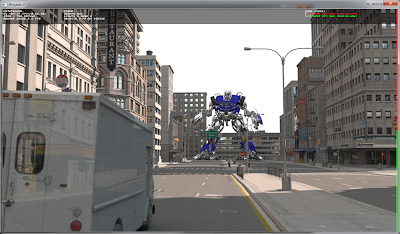 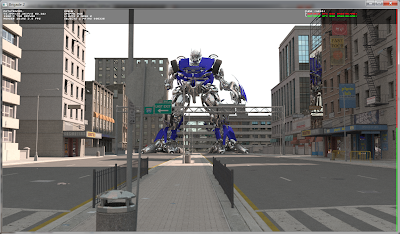 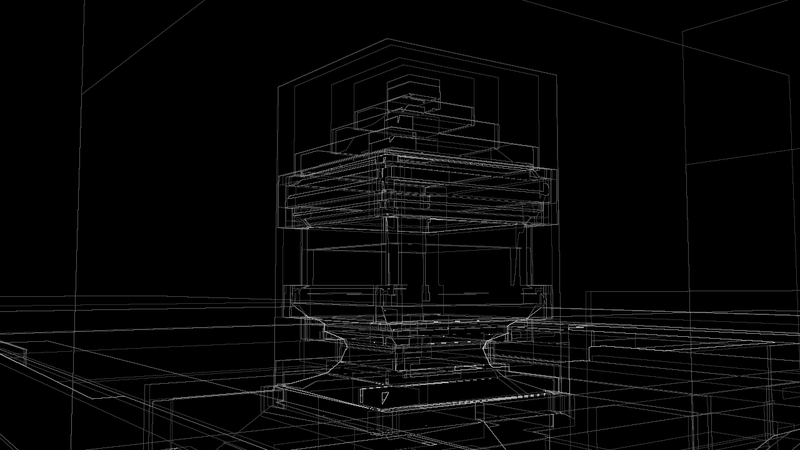 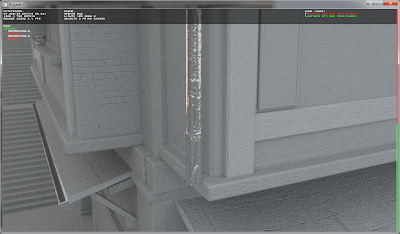 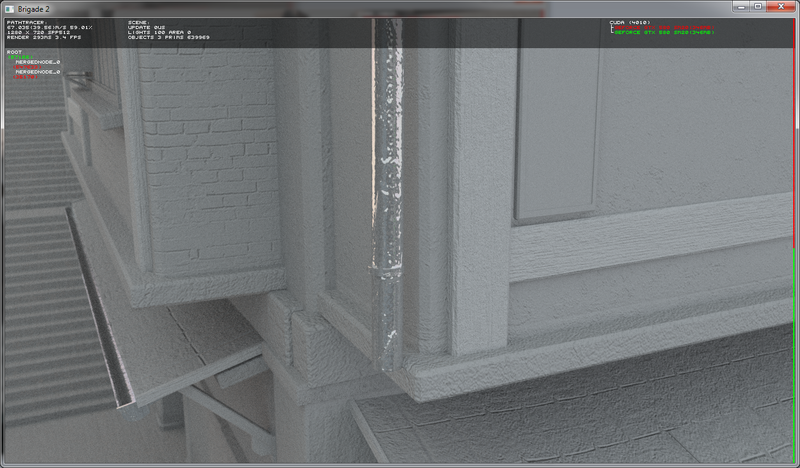 This would also immediately solve the problem of ray tracing huge dynamic scenes. 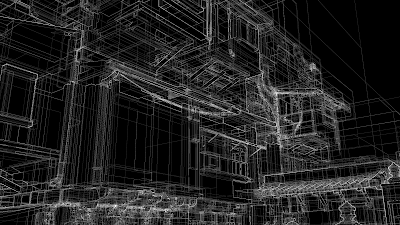 The research was inspired by a recent algorithm proposed by Keller and Wachter (toxie on ompf), which was in turn inspired by a method described in a patent of Caustic Graphics iirc.